Are you looking for Photoshop actions for your wedding photos? Post-editing takes a lot of time, but Photoshop actions can speed up the process, and they’re a huge lifesaver when you need to finish a rush job. 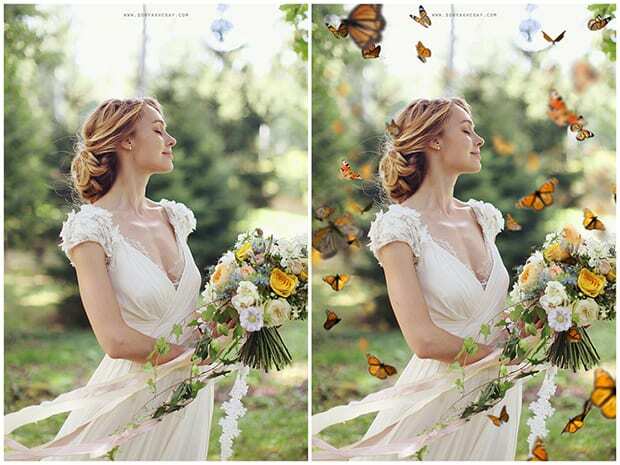 In this article, we will share 43 free and premium Photoshop actions for wedding photographers. 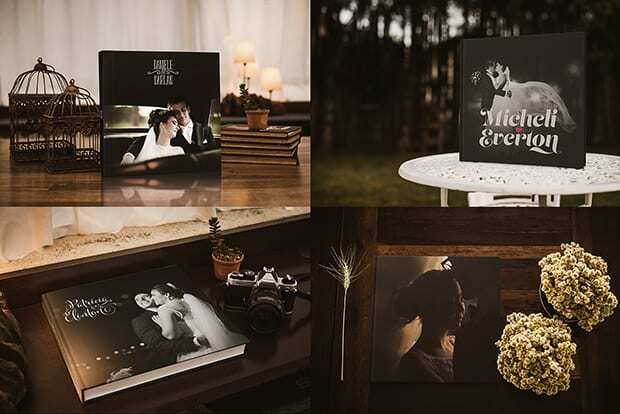 The Three Nails Collection is a trendsetting Wedding & Portrait collection created in collaboration with award-winning wedding and portrait photographer, Hunter Leone. This set uniquely combines warm and cool tones to create rich, moody and dramatic effects. The Light Manipulation actions included in this set are nothing short of spectacular! You can either purchase the Three Nails Retouch for $75, the Three Nails Workflow for $75, or the entire bundle for $120. 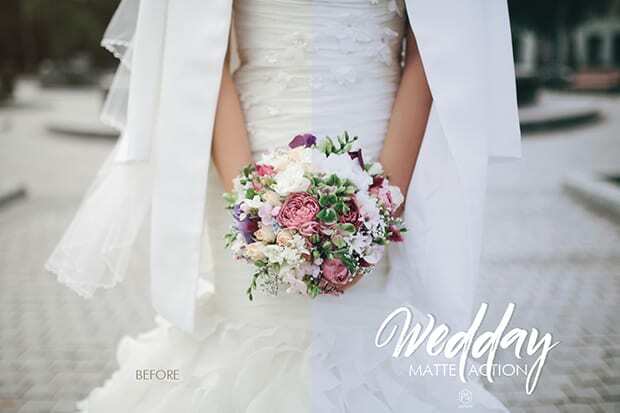 Wedday Matte Action provides a soft and non-destructive pastel matte toning, enhancing overall look and feel of your images, adding atmosphere plus that little white balance tune-up that you were looking for. This one small action really packs a punch! You can purchase this action for just $9. Wedding Photoshop Actions by BeArt contains 40 professional, clean, color-enhancing actions that are specialized for wedding photography. Priced at only $19, this set is great for photographers on a budget. 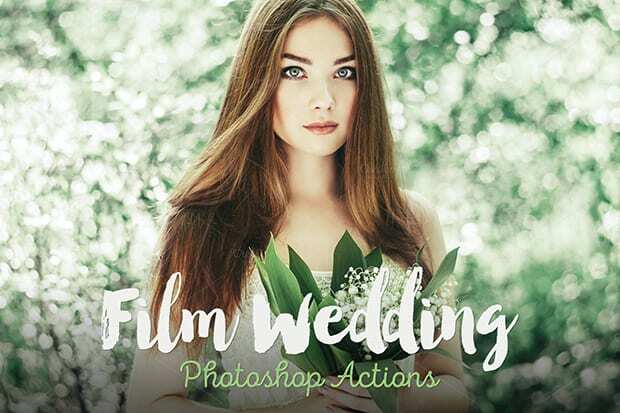 Film Wedding Actions includes 40 Premium Photoshop Actions and 40 Camera RAW Presets for professional photographers. This collection is well-balanced and great for an array of settings, from wedding to travel photography, portraits, architecture, food photography, and everything in between. You can purchase this set for $19. Matte Premium Actions will give your photos a beautiful, faded and stylish finish. This set contains 30 professional Photoshop actions to and add more beautiful colors to pictures, perfect your backgrounds, and make your photos look stunning. This set is available for $19. 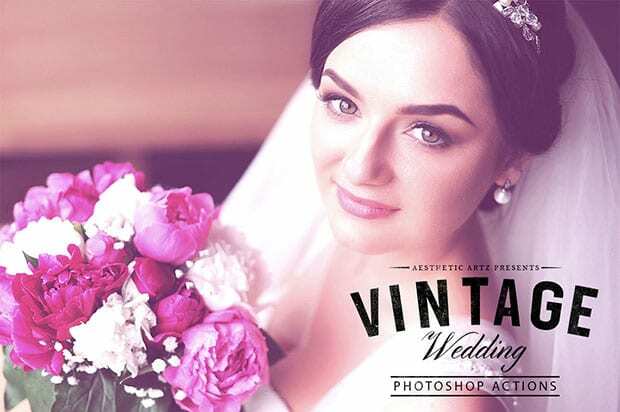 Vintage Wedding Photoshop Actions is a comprehensive suite of 30 Photoshop Actions, designed to help you to create a vintage feel which is becoming increasingly popular with couples. Dabbling in some vintage action can provide you with an attractive addition to your wedding package! You can buy this set for $19. 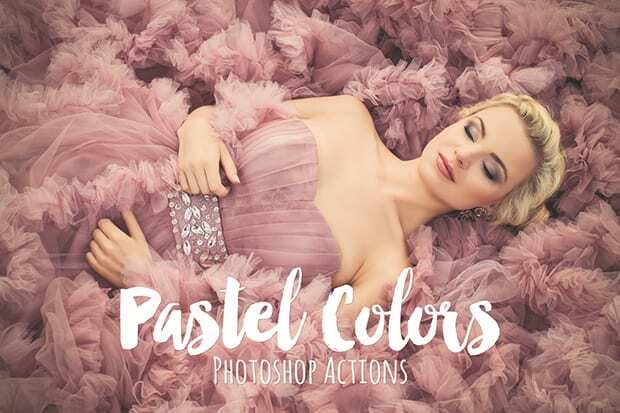 Pastel Colors Actions is a set of 40 Photoshop actions created to give professional and enthusiast photographers a beautiful, unique finish for their wedding, fashion, portrait, family & children images. With amazing light enhancement and unique color renditions, these actions will let you express your style confidently and with minimal effort. 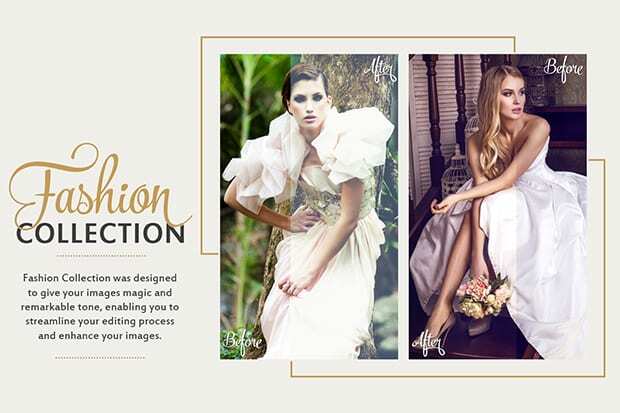 Fashion Photography Actions comes with 40 amazing Photoshop actions for wedding and fashion photography. These actions are professionally designed to give your images a magical and unique tone. This collection is priced at $19. 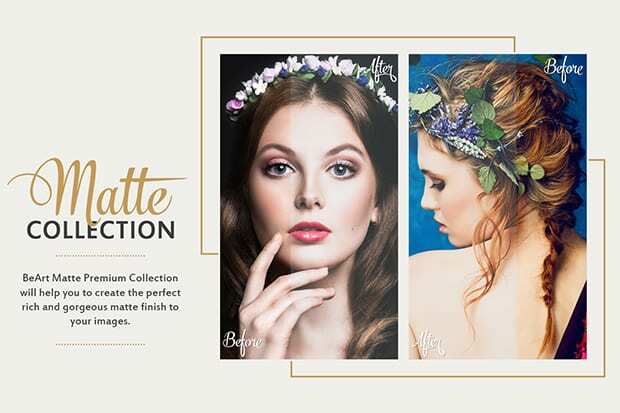 The Best Wedding Photoshop Actions includes 6 of the above premium collections: Wedding, Pastel, Vintage Wedding, Film Wedding, Fashion & Matte Effect. Plus, you will get all the instructions on how to install and use all these awesome assets. You can save a chunk of change by purchasing the entire bundle for $59. 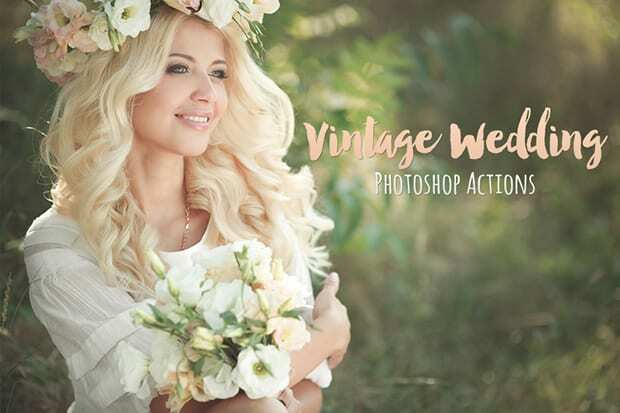 Vintage Dream Actions is a set of 8 premium Photoshop actions for wedding photos. These actions adds a strong vintage effect in one go. The best thing about these actions is that they work on non-destructive layers, so if you don’t like the effects, then you can go back to your original photo anytime. The price for this set is $19. 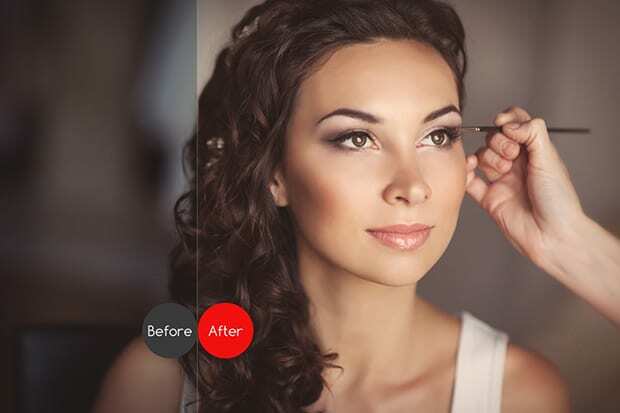 Florabella Retouch and Makeover includes over 30 fully adjustable Photoshop actions, product descriptions, and links to helpful video retouching demonstrations. The set includes options to help you achieve both subtle, natural retouching edits and more dramatic retouching transformations. At $119, this set is one of the higher priced action sets we’ve listed here, however it is well worth it for the portrait retouching capability. Black & White Wedding Actions contains 20 professional, elegant, black & white actions that are specialized for wedding photography. You can buy the entire set for just $7. Inside the Darkroom creates the classic look of a clean, crisp image. The set includes the exclusive darkroom black & white, Classic & Clean base for the perfect start to any photo, Heirloom Action, Spotlight and Add-on Mattes. You can use these actions with or without the black & white properties. This set is a steal at just $5. Luxe Digital Retouching goes from modest to High Fashion Magazine Digital Retouching in just one action set! With these 40 actions, you can create perfect skin that retains texture, or add beautiful highlights to the face & legs. These actions are perfect for any portrait or wedding photographer. The entire set plus a bonus colorizer is available for $79. 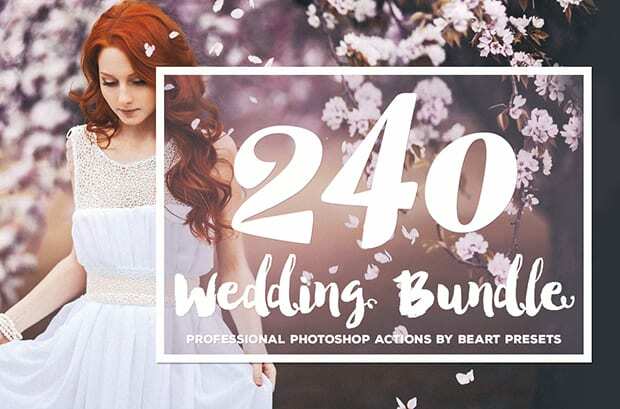 175 Photoshop Wedding Actions is a bundle of multiple sets of actions that have everything you need for your wedding photos. 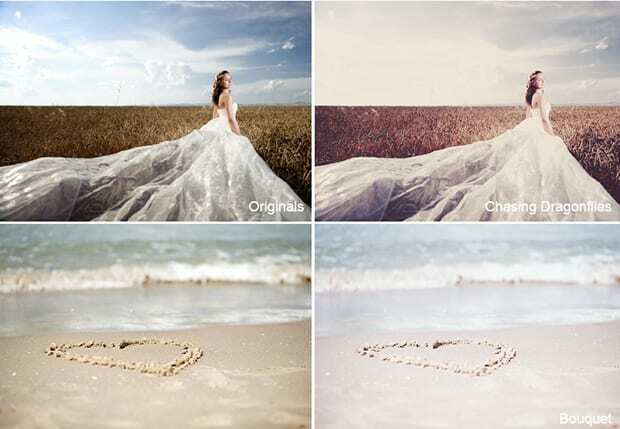 The bundle includes wedding color enhance actions, matte wedding actions, wedding light leak actions, vintage wedding actions, B&W wedding actions, Dream Wedding Effects and HDR wedding actions. The bundle is available for $24 for the first 100 customers ($50 afterwards). 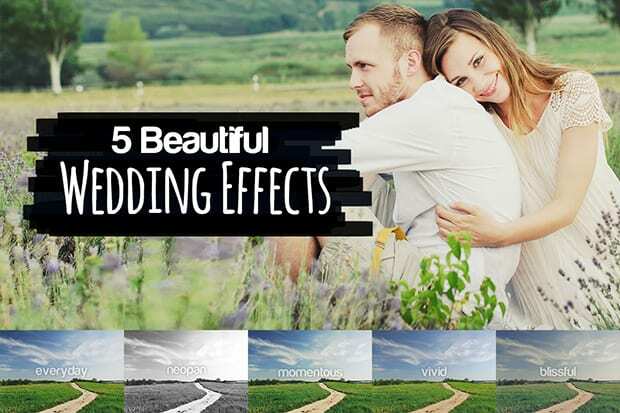 12 Beautiful Wedding Effects simulate the popular subtle faded looks used in wedding photography and they’re extremely easy to use. Simply play one action and pick from any of the 12 effects. The other nice thing about these effects is that they have been refined so much that most only use 2 layers. The layers are easy to understand and you can adjust the strength of each layer by adjusting their opacity. They are also lightning fast to run! The 12 effects can be purchased for $7. 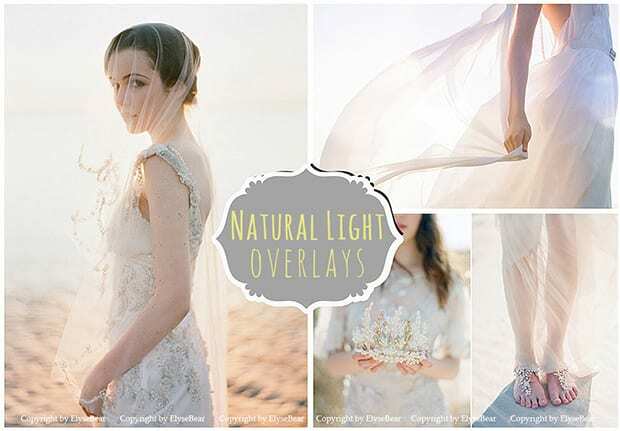 Natural Light Overlays is a set of 55 high resolution JPEG photo overlays, plus 2 PNG overlays. While they aren’t Photoshop actions per se, these overlays are easy to apply, and the download includes instructions on how to use them. They are, of course, compatible with Photoshop. The entire set of overlays is available for $10. Butterfly Overlays includes 11 high resolution PNG photo overlays, plus 1 frame. They are easy to apply (instructions included), and compatible with Photoshop. 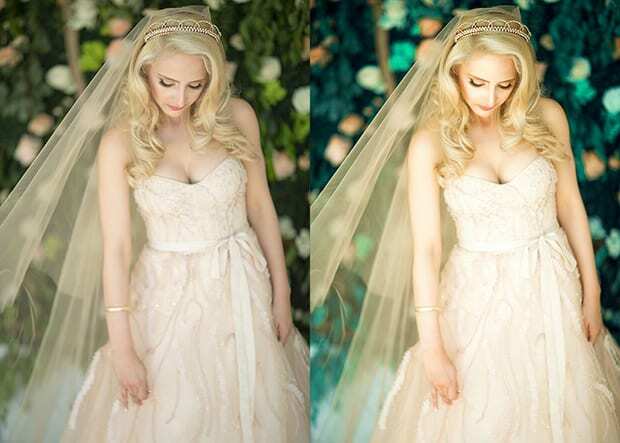 These overlays are perfect for fantasy wedding shoots. The set can be purchased for $11. 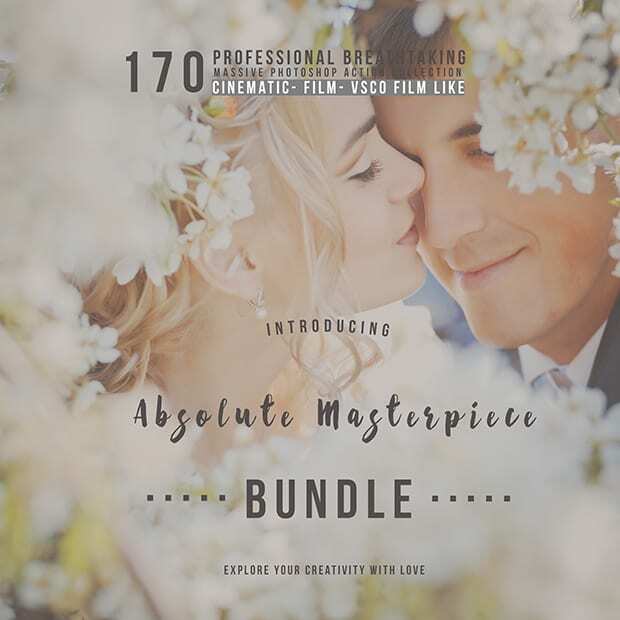 Absolute Masterpiece Bundle includes 170 professional actions chosen by over 300 famous wedding photographers all around the world. These actions polish your photographs with variety of tone, create the timeless look of traditional film, and dimension and flare to your images, and a matty look like you have never seen before. The set is available for just $15. Photography Album Mockups Vol. 2 allows you to give your clients a preview of what their wedding albums will look like. The collection includes 2 bonus, 3 exclusive photoshop actions and one front and verse mockup. It is really easy to use, since the mockups use smart objects to exchange the cover in just two steps. You can buy these mockups for $12. 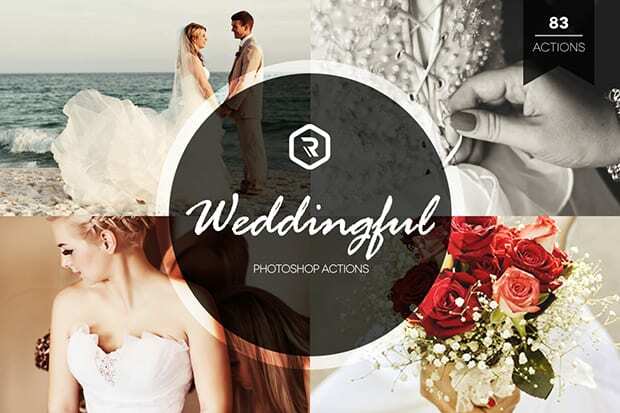 Weddingful Photoshop Actions adds breathtaking effects and a touch of light and contrast to every photo. 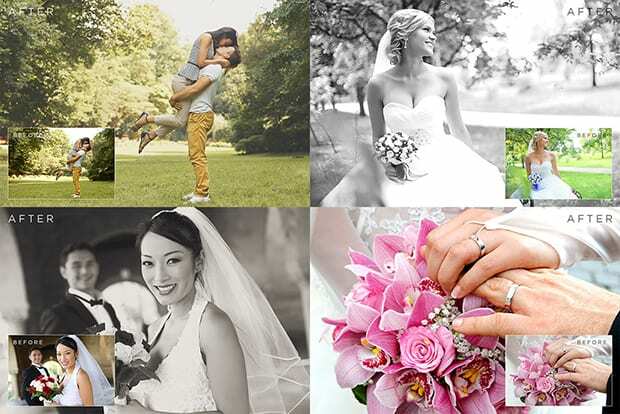 Weddingful makes it easy to bring out the magic of anyone’s big day, for photos they’ll be proud to display for years. 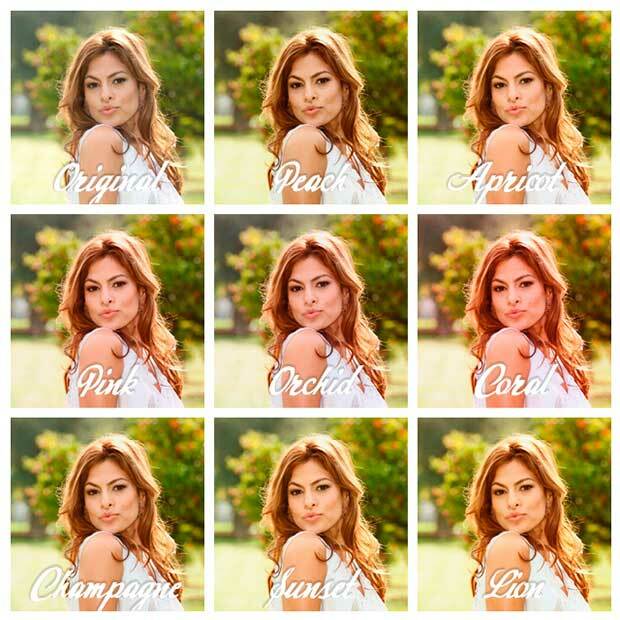 You can buy the entire set of 83 Photoshop actions for $19. 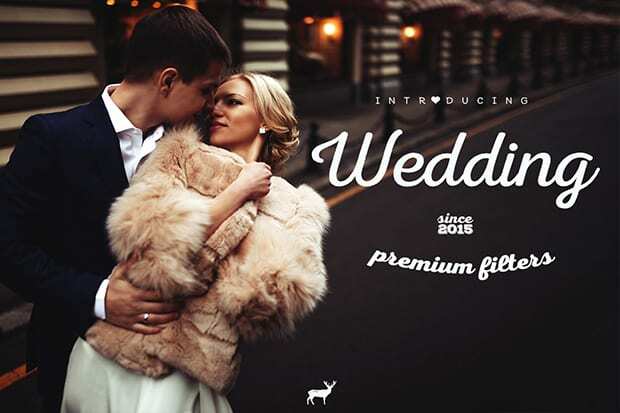 Wedding Premium Filters is a series of premium trop belles effects exclusively created for wedding photographers. They have been tested on many photos by the team of creators to ensure high quality. The set comes with 15 filters and free support. You can purchase this set for $9. 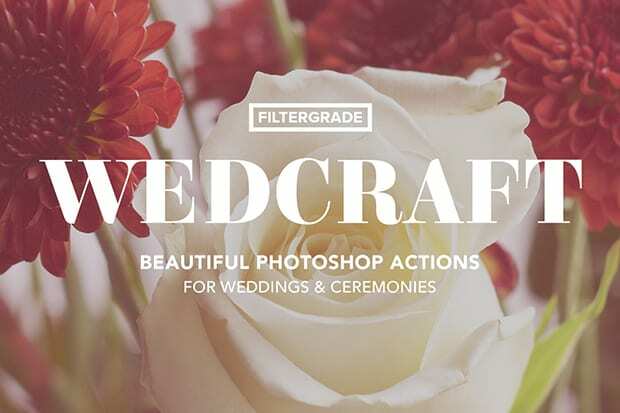 Wedcraft Photoshop Actions is a massive set of 40 Photoshop actions designed for weddings, ceremonies, graduations, and other major events. With it you can quickly adjust exposure and lighting, add subtle styles to your photo, and give your image a bit of detail with the light leaks and deep effects included. You can purchase the set of actions, lighting adjustment tools, light leaks and a bonus camera raw preset file for $19. 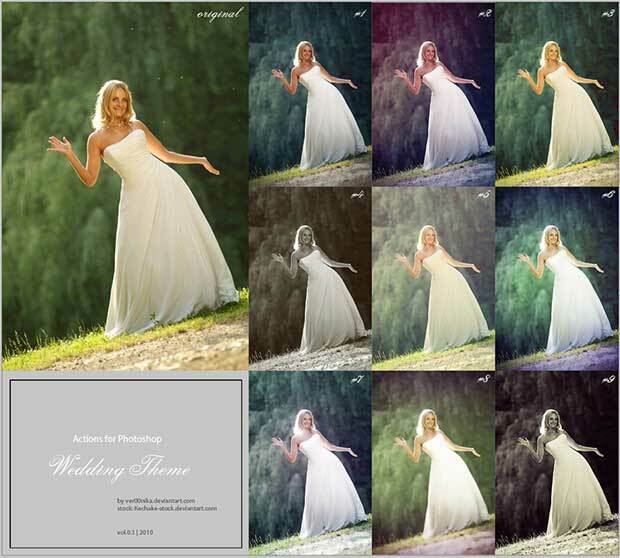 Weddings Photoshop Actions Volume 1 includes 10 amazing actions to make your client’s wedding photos look gorgeous. Although they were designed for wedding photography, they can also be used for engagement sessions and personal portraits. The set is available for $10. Kiss Me Softly Set is a set of 5 Photoshop actions and 4 tools for the wedding photographers to create a “modern matte effect.” While the actions provide a touch of matte, they still retain luscious color and contrast. If you like the matte effect, but still want your images to have that extra pop of contrast, the Kiss Me Softly Set is for you. This set is available for $34. Peony Photoshop Action provides rich natural toning for portrait, fashion and fine-art photography. Tired of dull greens and florals? 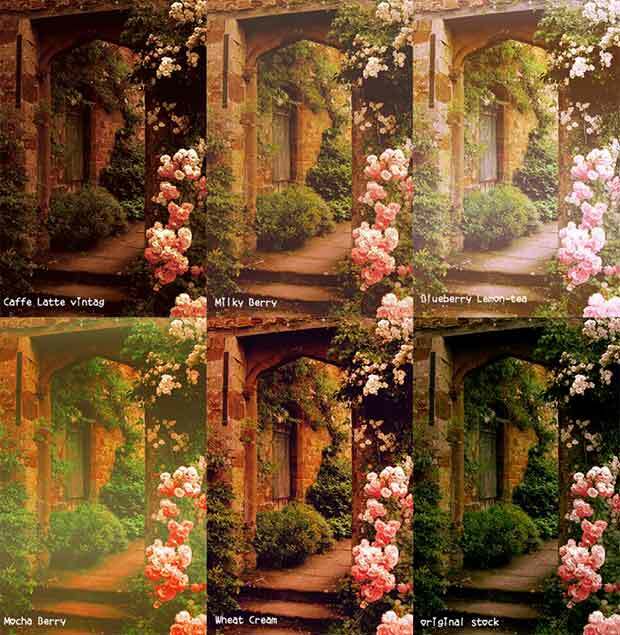 This action is a perfect solution, adding volume and color depth, with a special color shift tune-up to all the greenery and flowers. This action is best for outdoor wedding photography with lots of greens and flowers. Peony is available for $9. 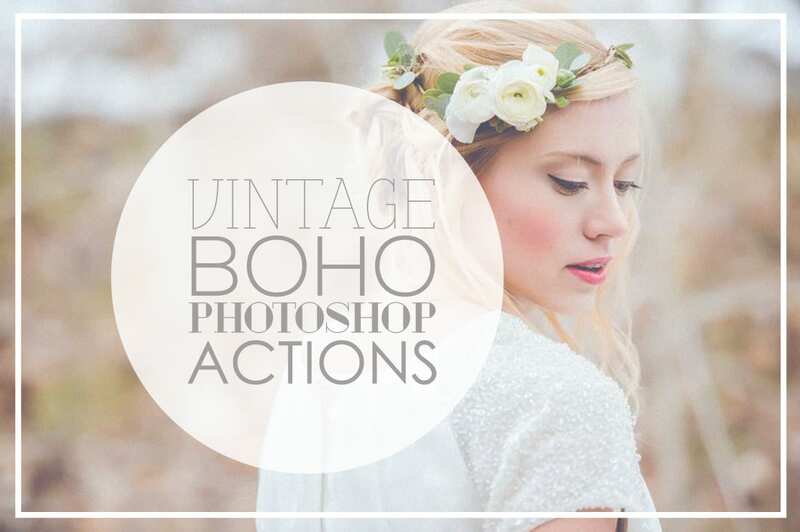 Vintage Boho Photoshop Actions gives that trendy, retro-film look and is perfect for woodsy, natural weddings. You get 4 actions that are easy to modify and use: Vintage Bright, Pastel Blue, Pastel Yellow and Black & White. You can purchase the set for $7. Aesthetic Vintage Wedding contains professional, elegant, color-enhancing actions that are specialized for wedding photography. 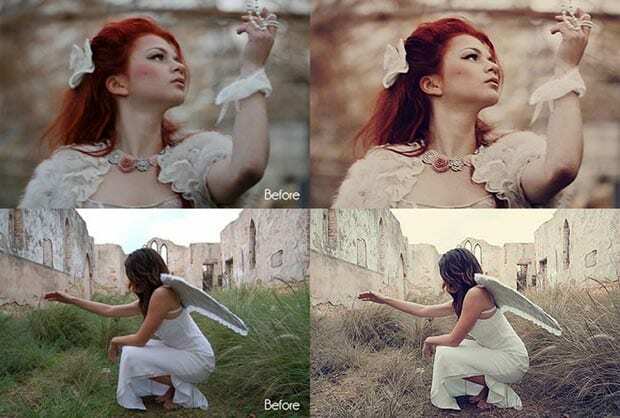 These actions enhance and add more beautiful colors to pictures and make your photos look stunning. 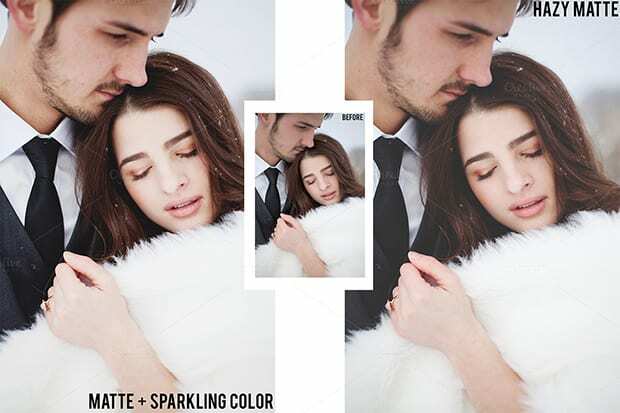 Wedding Photoshop Actions is a free sample from the premium set of Wedding Photoshop Actions. The action was created with wedding photos in mind, but it can be used for other types of photos as well. Wedding Effects gives your photos the popular faded film look in one click. This set contains 5 photo effects and if you’re a SparkleStock member, you get access to all 12. They’re easy to use, nondestructive, and fully editable. 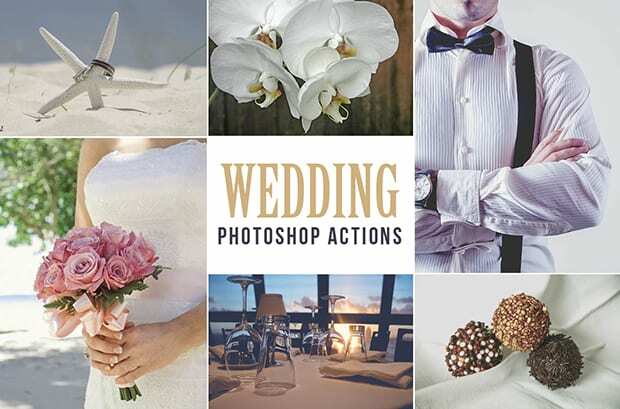 Wedding Theme Action is a set of 9 amazing Photoshop actions for wedding photographers. You can add a lomo effect, black and white effect, and more to your images using these actions. 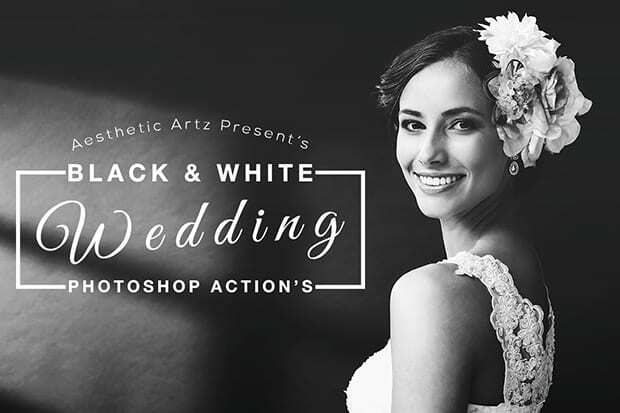 Black and White Dreams is a set of 3 amazing wedding Photoshop actions. These actions are simple, but they add a beautiful black and white effect to your wedding portraits. 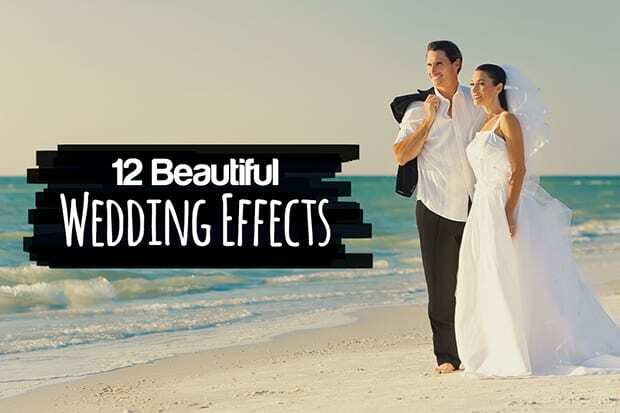 Wedding Enhancers Kit is a simple yet productive set of 12 actions that will help you create several common portrait effects: particularly wedding portraits. The set consists of 11 effects, plus an action with some brief instructions and pointers. Summer Breeze is a Photoshop action that polishes images with a variety of tone. You can add dimension and flare to your images, and create the traditional film/matte look. Vintage Photoshop Actions is a collection of 7 easily adjustable actions. You can set the opacity of each adjustment layer, or just remove a particular layer to customize each effect. 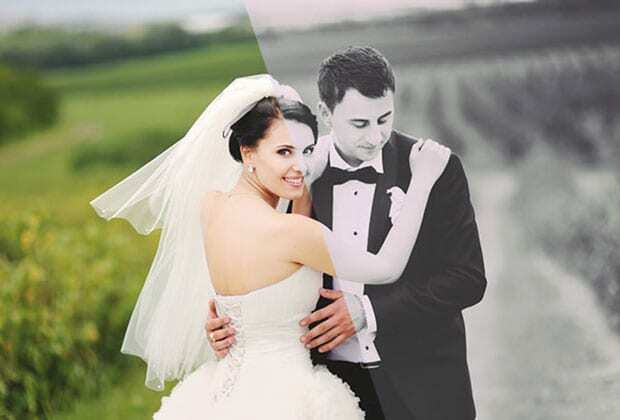 Retro Photoshop Action is a high quality retro Photoshop action for professional wedding photographers who want to give a crisp and flawless look to the photographs they seize on a wedding day. Vintage, Black and White is a collection of 6 amazing Photoshop actions. The combination of vintage with black and white makes your wedding photos look beautiful and modern. 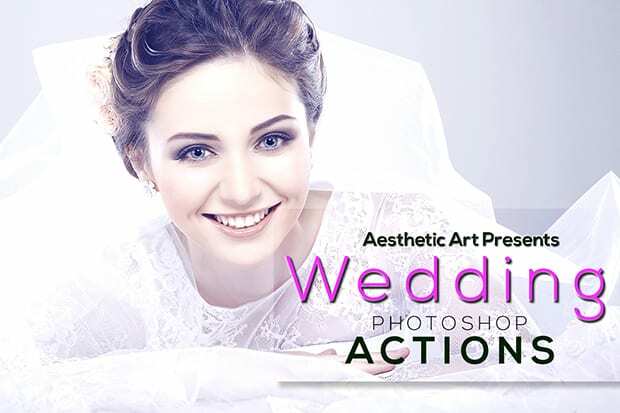 Aesthetic Wedding Photoshop Actions have 30 action that enhance and add more beautiful colors to your wedding photos. These actions help amateur and professional photographers to make their wedding and portrait photos unique and look gorgeous. 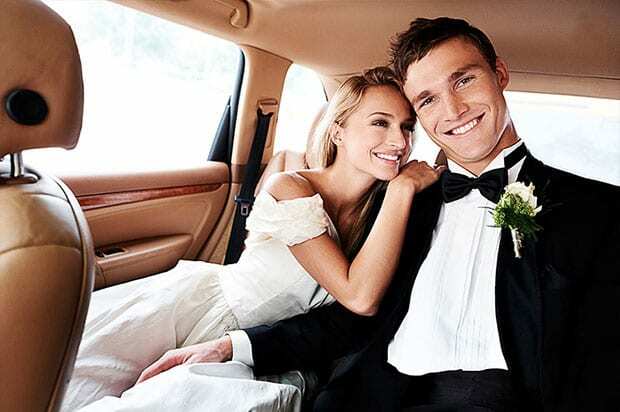 Wedding Fun Action Pack have 7 main and 4 bonus actions to spruce up your wedding photos. They’ve been tested on numerous photos to ensure the best possible results for the big day. 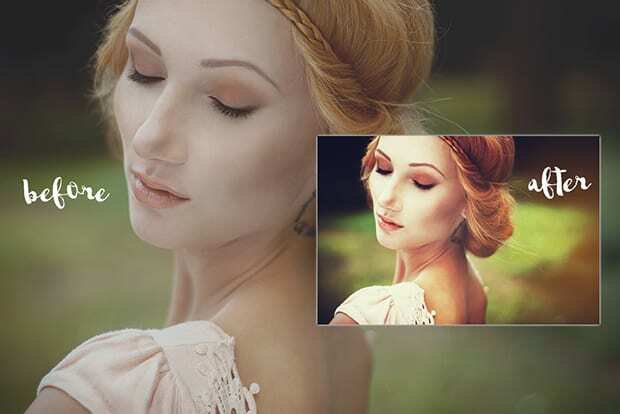 Dark Vintage Retro is a collection of 5 Photoshop actions that works great on wedding photos captured in a garden or in nature. My Sunset is an amazing free Photoshop action that creates a sunset effect in your photos. This action is perfect for the outdoor wedding shoots with a proper photography lighting setup. 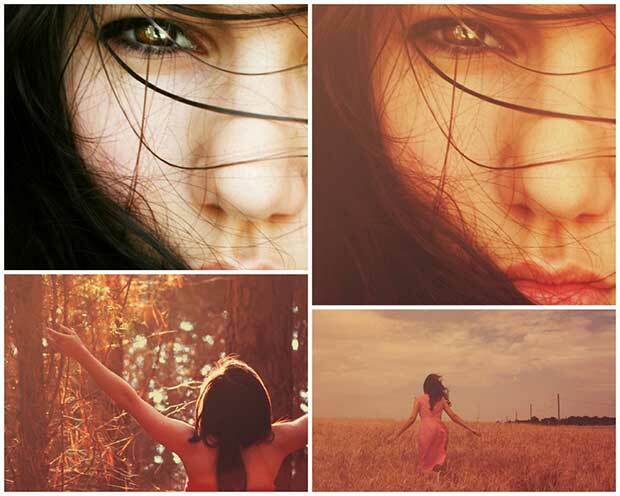 Soft Sun Actions is a beautiful collection of 8 Photoshop actions. You can use these actions to edit outdoor wedding photos. They are great for skin color correction and for adding warmth. Runaway is a Photoshop action that adds a romantic red tone to your photos, and creates a stunning effect in your wedding photos. 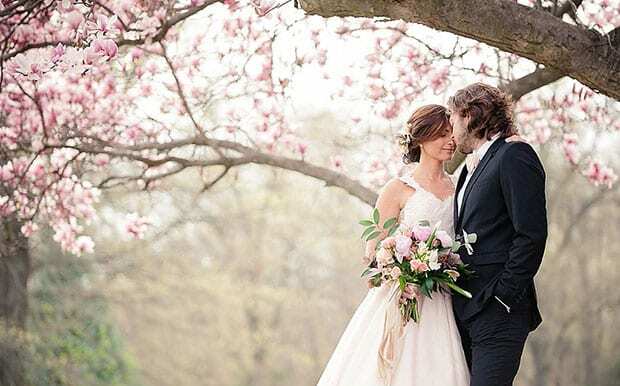 We hope this article has helped you to find the best 43 Photoshop actions for wedding photography. You may also want to check out 9 Photoshop actions to blur background, or our guide on the best wedding photography tips. Most of the stuff that I learned was actually reverse engineering other peoples actions. I can see the cause and effect of using certain adjustment layers and what effect it has after I tweak and re tweak it. thanks a milion for this great post. Nice photography. I like it and thanks for sharing.